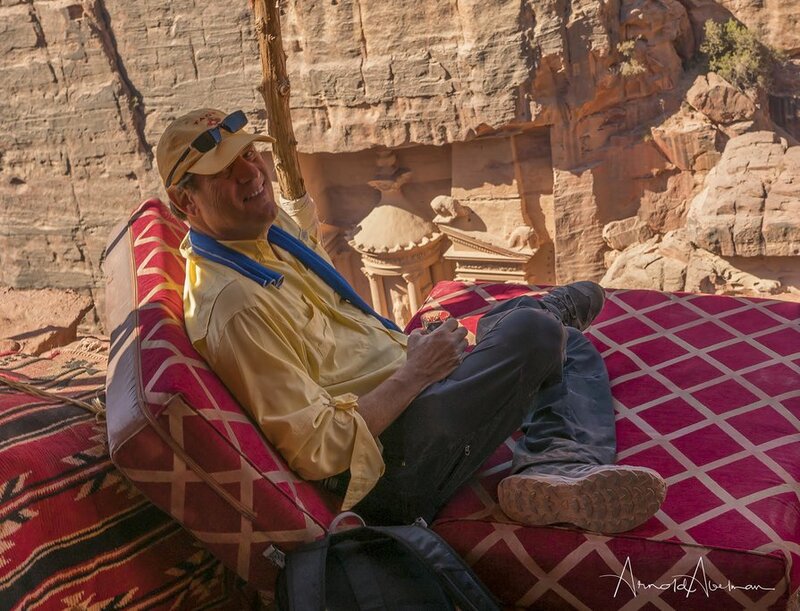 While vacationing in Israel, kimkim traveler Arnold Abelman set out on a two-day trip across the border to fulfill his dream of exploring and photographing the ancient city of Petra. He shares what he loved about the experience, what surprised him most, and why you should consider adding Jordan to your Israel itinerary. Tell us about yourself, and what led you to visit Jordan as a solo traveler with only two days to spend. I was attending a wedding with my family in Israel, and I knew we would have a couple of free days. I decided to use my time to cross the border into Jordan for a quick trip. I’m a photographer, and this was my chance to photograph Petra, an ancient wonder of the world that has always intrigued me. This was an opportunity to fulfill a dream, and I couldn't pass it up! 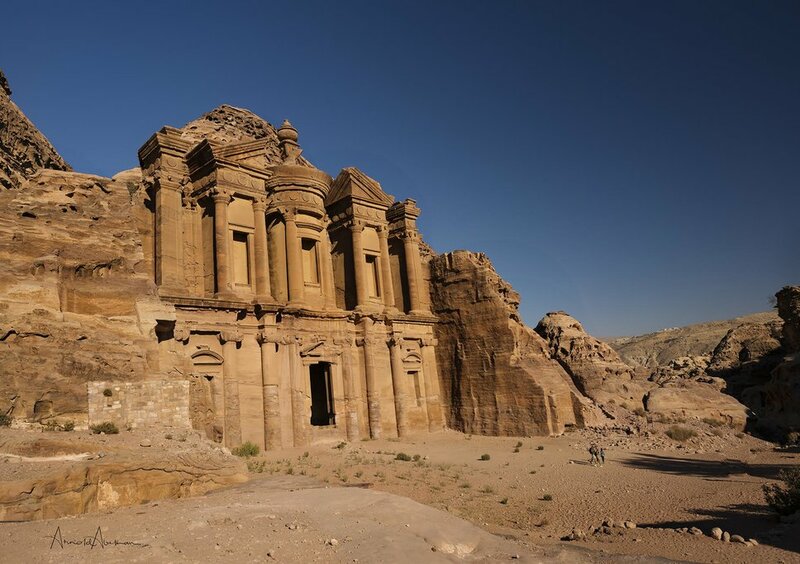 What was the most memorable part of your experience visiting Jordan, and Petra in particular? Seeing the ruins of Petra with my own eyes was a dream come true, but the trip up to the Monastery was probably the most memorable and unexpected part of my visit. It’s a steep, 800-stair climb, and I was wary of tackling that kind of hike in the heat of the day. There were guides available with mules, so I chose that option. That was an event in itself! It was definitely easier energy-wise, but riding a donkey that's essentially walking up the edge of a cliff is exciting, to say the least. Another memorable element of my visit was the welcoming attitude of everyone I came in contact with from the time I crossed the border, to the taxi ride, to everyone working in the park. All of the Jordanians I met were so warm and welcoming. You stayed at the Fig Tree B&B in Wadi Musa. Was it a good choice for a solo traveler and/or visitors with limited time? This lodging option was perfect for me. It honestly felt like a European villa. Yolanda, the owner, is very accommodating in every way possible. She even cooks with vegetables grown on the property. Since I was traveling alone without much time to spend hunting for restaurants, I pretty much ate exclusively at the Fig Tree, and Yolanda often joined me for great conversation at mealtime. I even had the kitchen pack a lunch the night before my day in Petra, which was super convenient since I wanted to be at the park early to snap some early morning photos. 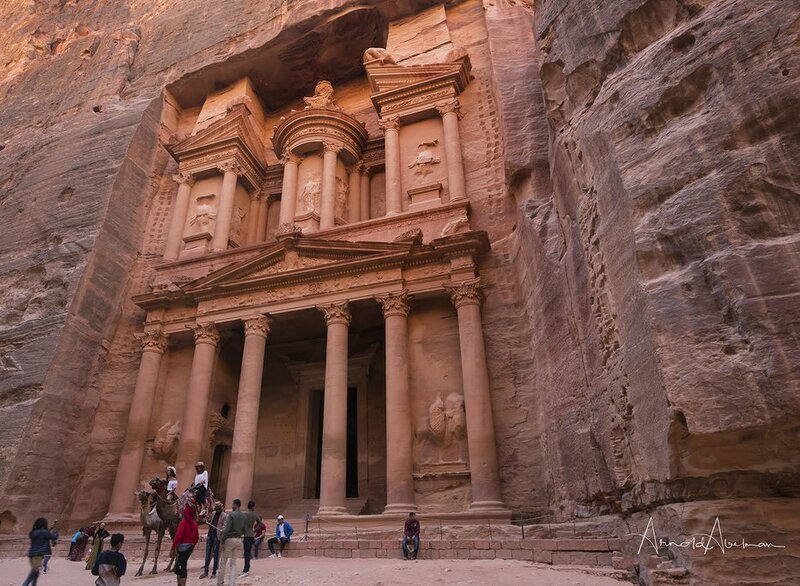 One of our local specialists worked with you to plan your time in Jordan. How did working with her enhance your experience? Even though I never met Bianca face-to-face, our communication before and during my trip was very comprehensive. One way she was especially helpful was sharing her knowledge about crossing the border between Israel and Jordan. The official information from the embassies and the signs at the border can be confusing, so having a local expert with accurate information is invaluable, especially when a trip is so short and there isn't time to spare trying to figure things out. I also found the formatting of the messaging to be very helpful. Having a history of your conversation is key when you need a quick reference point later. Do you feel like a quick, 2-day trip to Jordan is doable from Israel? With the right information ahead of time and help with planning, a two-day trip is very doable. Time is truly of the essence on a trip like this, and you want your experience to be seamless. 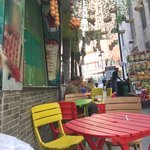 Having someone knowledgeable to help maximize time in my itinerary made it so able to see and do things that I wouldn't have otherwise. And since I was by myself, I really benefitted from having a local expert available during my trip who I could call with questions or concerns. Bianca's other area of expertise is Wadi Rum, and I'm thinking about incorporating another short trip to Jordan into my next Israel visit! Thank you to Arnold Abelman for contributing all of the photos used in this article. To see more of his work, visit his website.